Our synagogue has always been status quo, meaning it did not take sides in the orthodox-neolog debate.  The religious life started to rise again in 1985 with the devoted work of Rabbi Robert Deutsch and has an evolving community nowadays as well. The current rabbi of our congregation in Rabbi Peter Deutsch, who is also responsible for kosher food at the local Laky kitchen. 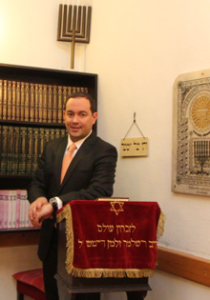 He represents the Israel based Taam Hakasher in Hungary under the supervision of Rabbi Daniel Channen. Bethlen synagogue was built in the 1920s in the eclectic style. In 1944 under the German occupation it served as a Jewish needed hospital under the protection of the International Red Cross. Over there they treated well-off Jews from villas, who were treated differently by the Germans therefore were not taken to the Budapest ghettos. For about 10-20.000 Hungarian pengős anyone was admitted. Setting-up the hospital took hours; it was equipped from dr. Adolf Weiss’ neighboring storage and had 350 berths. The hospital was led by Dr. Dénes Fuchs and later by Dr. János Biedermann. The doctors working there were proceeding surgeries and healing the ill under harsh conditions and succeeded in saving many lives. In December 28th, 1944 the Bethlen square hospital was attacked by Nazis and SS soldiers, they despoiled and hurt everyone staying there, deported and murdered about two dozens of men. However, the rest luckily survived the Holocaust. After the war, the American Joint Distribution Committee funded DEGOB, which looked after the deported Hungarians, afterwards the building was home to a special education university. Today the American based international McDaniel Collage is located there. On the left side of the building, after reconstruction is the Bethlen synagogue. Robert Deutsch “זצ״ל” was the Chief Rabbi of the Bethlen square synagogue, director of the Hungarian Rabbinate for 25 years, president of the Hungarian Rabbis and director of the Av Bet Din (Rabbinical Court). Along with his Orthodox upbringing and strict lifestyle, came an open heart, which helped several Jewish organizations, Oneg Shabat Klub and a conservative Jewish student organization, the Marom worked under his directory. His committed work resulted daily morning minyans and Seudat Shlisits. Thanks to his intervention, our synagogue has a beautiful ceremonial hall, a renovated yard with a memorial and a playground for small children in the garden. During his nearly three decades long work, he held memorials in the remembrance of the Holocaust’s victims in almost every part of the country. He served Judaism with his decades of committed rabbinical work, whose imprint can be found everywhere; he taught and encouraged many to keep the Jewish traditions and laws. He took over the supervision of the Hungarian kosher kitchen and was the religious leader at the Scheiber Sándor School in Budapest. He prepared countless children for their Bar and Bat Mitzvahs, who are still active members of our religious life. With his unforgettable speeches, teachings and endless modesty, he showed the way for future generations too. His memory is lovingly preserved in the Bethlen square as well as each congregation in the country. The Hungarian Jewish community constantly feels the irreplaceable gap he left after him. After his father’s death at a young age, Peter Deutsch was elected as rabbi of the Bethlen community (Heichal Yehuda) in 2015. He learnt practical rabbinic religious service from his father for 4 years. He studied in the American Endowment (Reichmann) School as a kid, where he had the chance to study from rabbis such as R. Israel Neumann, R. Tab, R. Dov Frank Z”L and Rabbi Matzner. After graduating from the Scheiber Sándor School he went to Berlin, where he studied with scholarship at the Lauder Yeshiva. 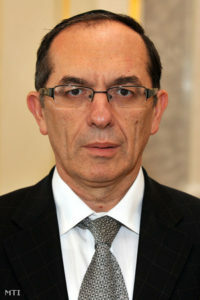 Later he went to Budapest College of Management. He got his rabbi diploma from Yeshivat Pirchei Shoshanim in Israel. Previously he was a rabbi for the Dózsa György way synagogue, where he helped to rebuild the community. His paternal grandfather was the orthodox sochet for the Hungarian city of Debrecen from 1961, and later until his death in 1984 he was the rabbi of the local community. He is currently one of the rabbis responsible for kosher food at the Laky kitchen of the Budapest Jewish Community. He represents the Israel based Taam Hakasher as a trustee of Rabbi Daniel Channen. On the day of his bar mitzvah, every 13 year old Jewish boy has the right to be called to the Torah and say the two blessings and the current prophetic part. In our congregation we organize preparation for Bar Mitzvahs. We provide help in reading the Hebrew texts, practicing the proper binding of the Tfilin and getting to know the melodies with the help of audio recordings. We also provide the opportunity of learning via Skype. Bat Mitzvah preparations help a 12 year old Jewish girl to get ready to practice the mitzvoth. Our congregation is happy to help with any requests regarding these celebrations. Mazel tov! Getting married is one of the most important specifications for Jews written by our philosophers. Our synagogue provides location for every Jewish couple. In our beautiful synagogue and a ceremonial hall with 160 seats, everything is given for a nice and intimate ceremony. We also offer help in organizing the big day. 1078 Budapest, István utca 15.